50 meters of pure adrenaline rush! 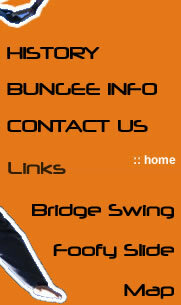 The bungee jump operates off the Kings Kloof Bridge in Krugersdorp Mogale City. 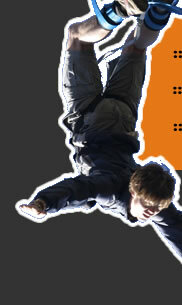 Challenge the limits of the mind and test the edge of fear by leaping off the impressive bridge. Please note: The Bungee, Bridge Swing and 320m Foofy-Slide is open to the public on Saturdays, Sundays and public holidays from 11:00 – 17:00. No bookings required on weekends.